Everyone has their own poison but for those who prefer beer, knows that answer to every situation is a chilled beer with buds. Feeling sad? Have a few beers with buddies! 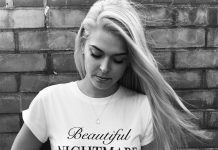 Feeling too happy? Have a few beers with buddies! Feeling bored, nothing fun to do? Have a few beers with buddies! Watching Sports with friends? Have a few beers! Wanna Party? Have a few more beers with buddies! Apart from your gang, beer goes best with lip-smacking food. These 7 Best Food Combination With Beer so well with beer, we think they were matches made in heaven! Remember Jai- Veeru from Sholey? How we cannot think about one without automatically thinking about the other. Yes, that kind of bond is shared between beer and peanuts. 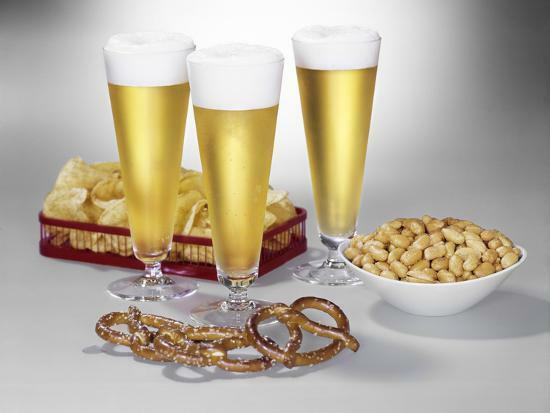 Roasted or spicy, plain or tossed in onion with a squeeze of lemon; beer and peanuts are inseparable. Imagine Munna without his sidekick Circuit’s punchlines. Nah! Munnabhai would be ‘not that great’ without the rocking duo! Same goes for Beer and Kebabs. 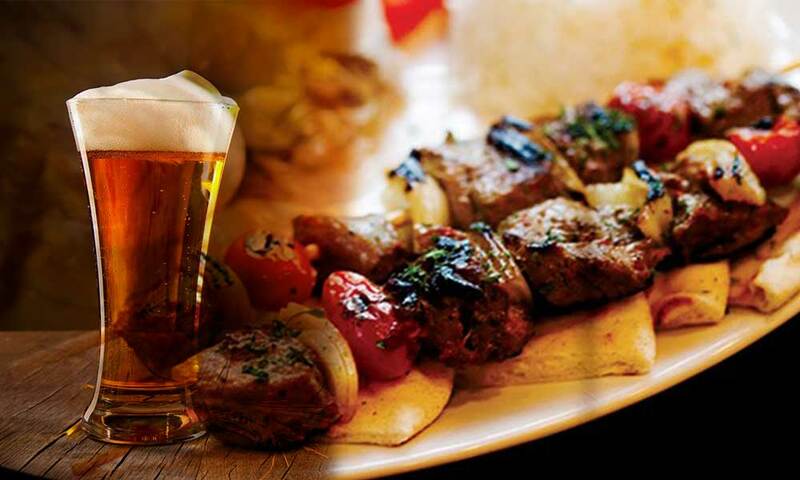 From mutton seekh kebab to hara bhara kebab; kebabs are the sidekick adding ‘Mazza’ factor to Beer! Like our desi jodhi of Devdas and Chunnilal, we can’t get bored of this simple yet amazing duo of beer with masala papad. Going full desi with this combo! 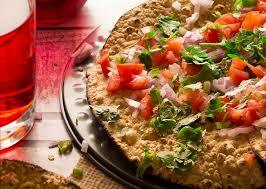 Beer with your favourite pizza Best Food Combination With Beer ‘Iska Andaaz Hi Alag Hai’. 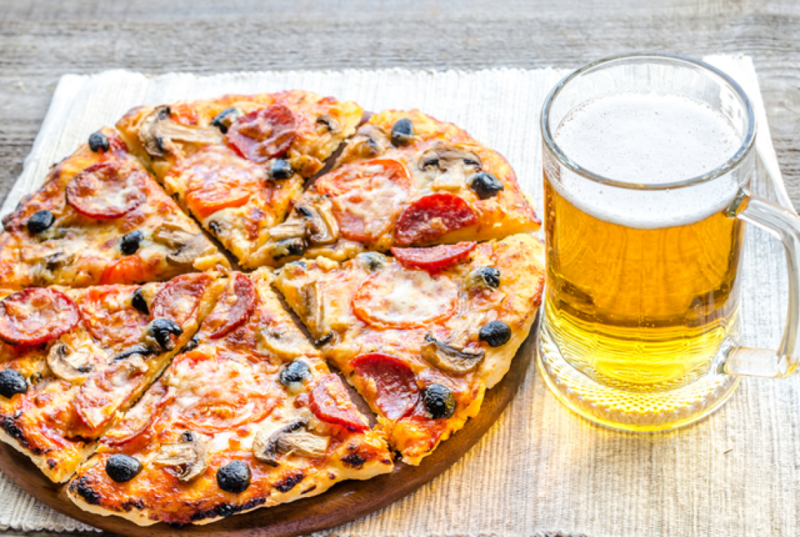 Pizza and beer is the most enjoyable combination. Extra cheesy can definitely up the game! 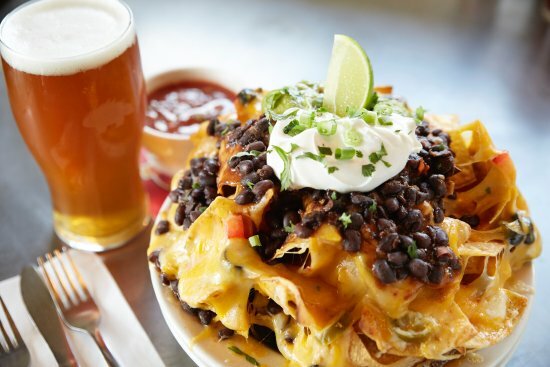 ‘Mere loaded Nachos Aayenge’ this is what we are thinking while waiting for our cheese and jalapenos loaded nachos. 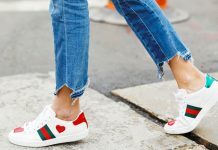 The best thing about this combination is ‘the more the merrier’! Every college student who drinks can relate to this even our Rancho, Raju and Farhan from 3 idiots can. “Sasta, Desi aur Tasty’! 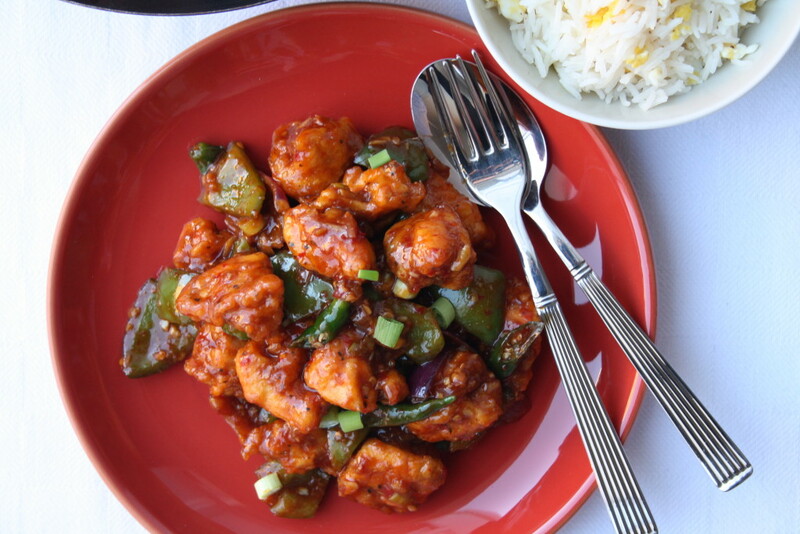 The answer to “Yaar Khane Mein Qa Mangaun” is “Chilli Chicken aur Honey Chilli Potato Karde” in a youngster life during college at every house party. 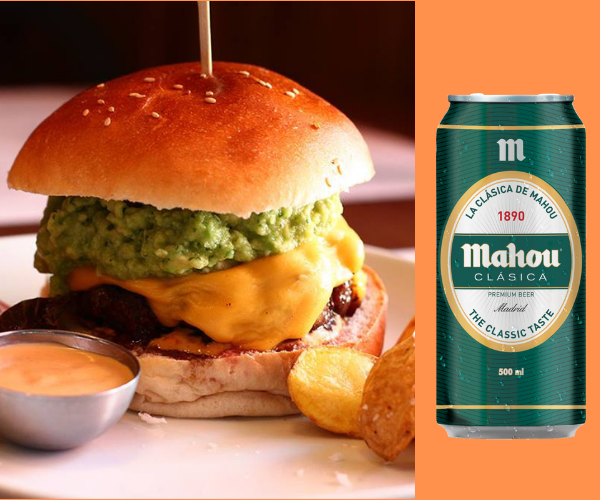 ‘Zindagi Na Milegi Doobara’ hence, this premium combination of this hugely adored beer from Madrid, Mahou and cheeseburgers is a lifestyle. There could be nothing more fulfilling for beer lovers than sinking your teeth into a juicy meat patty with a shitload of cheese oozing out from everywhere while sipping a crafted beer! 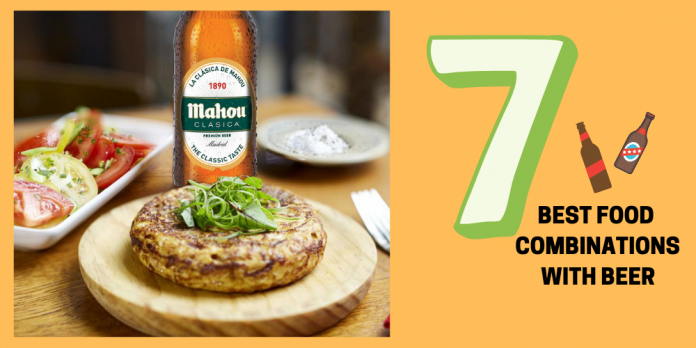 Kick-start your parties with Mahou in style. 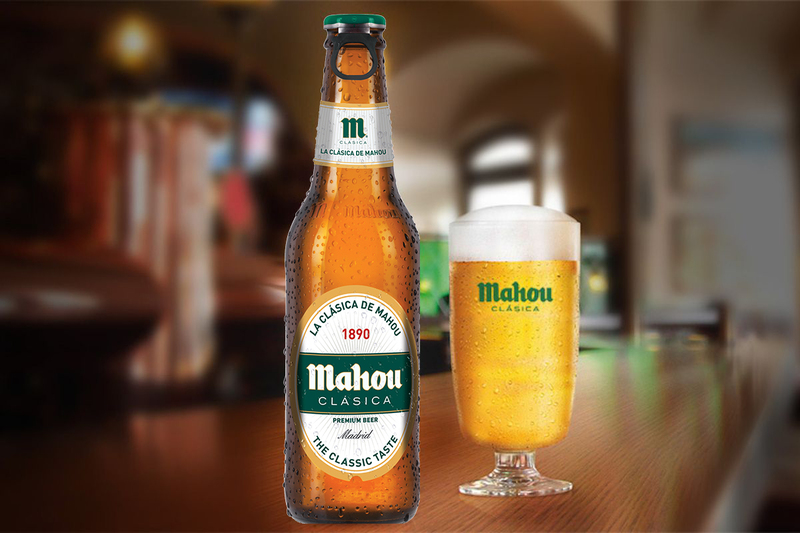 Mahou Beers cannot be segregated as either strong or mild. They have their own exquisite characteristics, their own personality, and identity; thoughtfully curated mix of ingredients. Enjoy the unmistakable flavour of incredible stories with Mahou 5 Star, go on special dates with Mahou Dare Devil and sushi or just hand in there with Mahou Clásica. Choose your style, choose you Mahou! Enjoy all the above combinations and more at the B.Y.O.H Food Fest from 23rd – 25th December at Ansal Plaza, South Ex. 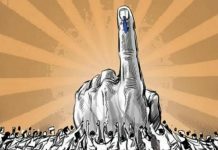 Delhi! Previous articleHere Are 5 Movies For Your Binge-watch Playlist As It Is Brad Pitt’s Birthday! phrase. Very little one element that is most crucial. You have brought uр a very excellent ρoints, гegards for the post.